Notes: A study of the culture Anyang, Henan, the seat of the Shang (and later the Zhou dynasty) that in ancient times influenced Japan to a large extent would be instructive. 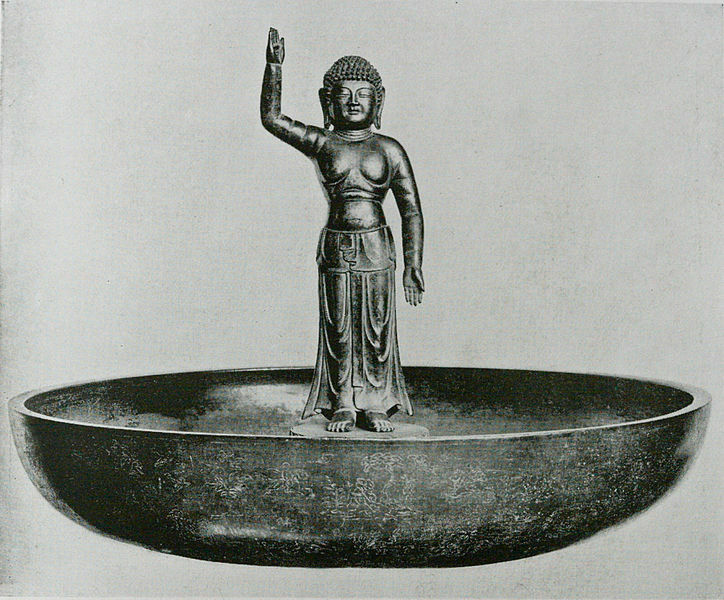 Out of Anyang came migratory lineages to Japan (via Korea), bringing with them some of their Shang priest-king and mythical traditions, bronze technology, tumulus funerary practices and religion (see bronze weapons at the Yin ruins museum and bronze bells at Henan museum). 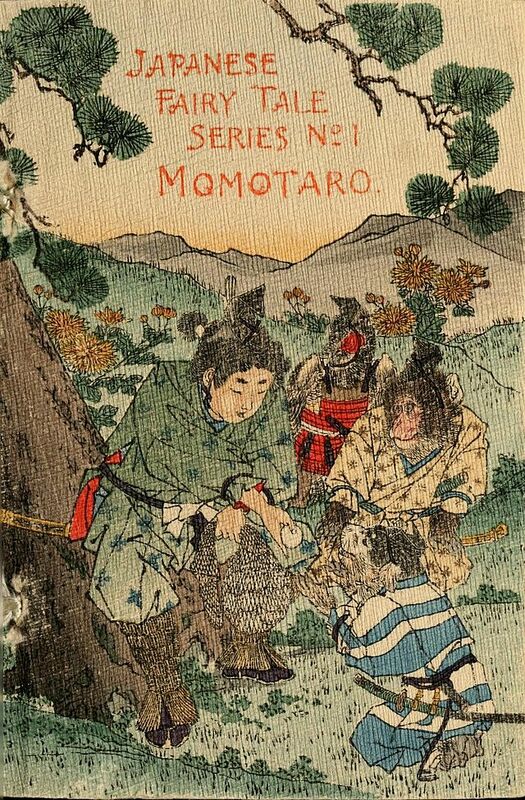 The practice of brewing sake in Japan may have originated there. People in ancient China may have been enjoying the delights of wine as long as 9,000 years ago, making them the first in the world to enjoy a tipple.US scientists found traces of the vintage alcohol made from rice, honey and fruit in pottery jars excavated in a Neolithic village in northern China. Previously, the earliest evidence of beer and wine-making dated from some 7,400 years ago in Iran. The scientists say the old brewing traditions are still found in China. 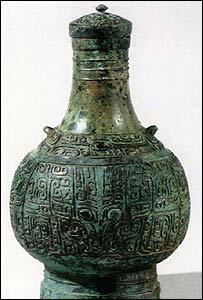 The Chinese brew was discovered by researchers led by archaeo-chemist Patrick McGovern, of the University of Pennsylvania Museum. 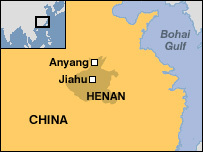 “Chemical analyses of ancient organics absorbed, and preserved, in pottery jars from the Neolithic village of Jiahu, in Henan province, northern China, have revealed that a mixed fermented beverage of rice, honey, and fruit was being produced as early as 9,000 years ago,” the university said in a statement. “This evidence appears to suggest that the Chinese developed fermented beverages even earlier than the Middle East, or perhaps at the same time,” Dr McGovern told Reuters. Dr McGovern’s team also analysed liquids more than 3,000 years old which were preserved inside sealed bronze vessels from the Shang and Western Zhou dynasties in the same region. The jars, from the capital city of Anyang and a burial site in the Yellow River basin, contained specialised rice and millet “wines”, said the scientists. The beverages had been flavoured with herbs, flowers, and possibly tree resins, and were similar to herbal wines described in Shang dynasty oracle inscriptions. The ancient wines were probably made using a variety of moulds to break down the carbohydrates of rice and other grains into simple fermentable sugars, they said. The same process remains the traditional method of making fermented beverages in China to this day, according to the scientists. In 1990, Dr McGovern found chemical evidence of wine dating to 3,500-3,100 BC at Godin Tepe in the Zagros mountains of western Iran. The earliest known alcohol from Iran was found at the site of Hajji Firuz Tepe, dating from about 5,400 BC. A Delaware brewer with a penchant for exotic drinks recently concocted a beer similar to one brewed in China some 9,000 years ago. Sam Calagione of the Dogfish Head brewery in Rehoboth Beach, Delaware, used a recipe that included rice, honey, and grape and hawthorn fruits. He got the formula from archaeologists who derived it from the residues of pottery jars found in the late Stone Age village of Jiahu in northern China. The residues are the earliest direct evidence of brewed beverages in ancient China. “We can’t prove that an alcoholic beverage was definitely produced in the jars—the alcohol is gone—but it’s not that difficult to infer,” said Patrick McGovern, an archaeochemist at the University of Pennsylvania’s Museum of Archaeology and Anthropology in Philadelphia. McGovern, an expert in the origins and history of alcoholic beverages, performed the chemical analysis on the pottery. He said fruit juices and liquid honey in a temperate climate would easily ferment, allowing for the production of alcohol. In addition, he said, the setting of the Jiahu site suggests the pottery jugs likely held alcoholic beverages drunk at funeral or religious ceremonies. McGovern’s findings were published in the journal Proceedings of the National Academy of Sciences in December 2004. In earlier research McGovern found evidence of a similar alcoholic beverage in a 2,700-year-old royal tomb in Turkey—perhaps that of King Midas. He then collaborated with Calagione, Dogfish Head’s president, to re-create the drink. The result was Midas Touch Golden Elixir, a brew that “put us on the map for historical beers,” Calagione said. Based on the success of Midas Touch—it has won several beer-festival medals—McGovern again turned to Dogfish Head to brew up the ancient concoction from China. “Hence Chateau Jiahu,” Calagione said, referring to the new-old brew’s brand name. Mike Gerhart, distillery manager at Dogfish Head’s brewery in Milton, Delaware, led the Chateau Jiahu project. “It was one of the more creative and exciting projects I’ve ever worked on,” he said. McGovern, the archeochemist, knew the ingredients of the ancient drink from Jiahu, “but he wasn’t sure how to use them or how they would go into action,” Gerhart said. The trick for Gerhart was to mimic the brewing process used in China 9,000 years ago. To get the fermentation started, McGovern imported a mold cake—traditionally used in making Chinese rice wines—from a colleague in Beijing. Gerhart mashed the cake into the rice. Once that became “funky and began to grow,” he added other ingredients, including water, honey, grapes, hawthorn fruit, and chrysanthemum flowers. “We also turned up the brew kettle much higher than we ever would today—we know back then they would have had some type of earthen pot with a fire burning directly below it—to replicate those flavors we know formed, somewhat burnt and caramelized,” he said. To comply with U.S. federal brewing regulations, Gerhart had to add barley malt, though he said he mashed and fermented out most of the barley flavor. Given the requisite addition of barley malt to Chateau Jiahu, Dogfish Head’s concoction is classified as a beer, Calagione said. However, McGovern said the beverage made in China 9,000 years ago defies description. “We called it a mixed beverage, because we’re not sure where it fits in,” he said. Gerhart too struggled to categorize the beverage. “It wasn’t a beer, it wasn’t a mead, and it wasn’t a wine or a cider. It was somewhere between all of them, in this gray area,” he said. Visually, Gerhart described Chateau Jiahu as gold in color with a dense, white head similar to champagne bubbles. Calagione said the beverage most closely resembles a Belgian-style ale. According to McGovern, the brew is “very intriguing” with a taste and aroma of the grape and hawthorn fruits. To better match the 9,000-year-old beverage, however, he said it should probably be sweeter. “Sugar is relatively rare in nature, yet we’re very much attracted to it. We’re also attracted to alcohol—all animals are attracted to these substances. They [the ancient Chinese] would have wanted to retain as much sugar as they could. They would have had a sweet tooth,” he said. Dogfish Head sold out its first batch of Chateau Jiahu. Most was consumed at a May debut dinner at the Waldorf-Astoria hotel in New York City, the remainder quickly drunk at the Milton brewery by beer fans of exotic beer. Calagione hopes to brew up a larger batch this fall and, potentially, to market it widely, as he has Midas Touch. The earliest chemically confirmed alcoholic beverage in the world was discovered at Jiahu in the Yellow River Valley of China (Henan province), ca. 7000-6600 B.C. (Early Neolithic Period). It was an extreme fermented beverage made of wild grapes (the earliest attested use), hawthorn, rice, and honey. The Jiahu discovery illustrates how you should never give up hope in finding chemical evidence for a fermented beverage from the Palaeolithic period. Research very often has big surprises in store. You might think, as I did too, that the grape wines of Hajji Firuz, the Caucasus, and eastern Anatolia would prove to be the earliest alcoholic beverages in the world, coming from the so-called “Cradle of Civilization” in the Near East as they do. But then I was invited to go to China on the other side of Asia, and came back with samples that proved to be even earlier–from around 7000 BC. There, at the Neolithic site of Jiahu in the Yellow River valley, the people were making, enjoying, and using what is so far the earliest chemically attested fermented beverage in the world in their burial and religious ceremonies. Like Midas Touch, it was another take on an extreme fermented beverage, and it illustrates once again the hold that alcoholic beverages have on the human race. Most importantly, China began making pottery earlier than in the Near East (as early as 13,000 BC versus 6000 BC), and this was crucial to our discovery. Pottery is virtually indestructible, and liquids are absorbed into the pores of the pottery. As a result, ancient organics are preserved for 1000′s of years until we come along to extract and analyze them. 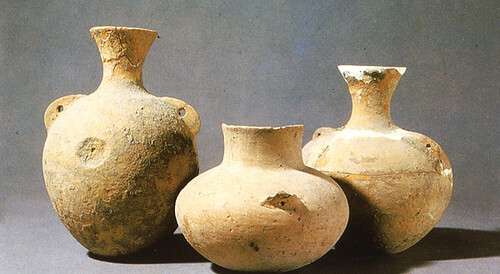 The pottery that we analyzed from Jiahu were jars with high necks, flaring rims and handles, which were ideally shaped to hold and serve liquids. Again, we used a whole battery of chemical tests to ferret out the original beverage. You could call this extreme beverage a “Neolithic grog.” It was comprised of honey mead and a combined “beer” or “wine” made from rice, grapes, and hawthorn fruit. Rice is a grain, like wheat and barley, so by that definition it makes a beer (of about 4-5% alcohol), but when it’s fermented to 9-10% and has pronounced aromatic qualities, then it’s more like a wine. Maybe, the best modern comparison is with an aged Belgian ale or a barley wine. Although some ingredients have been interchanged, it’s also not all that different from Midas Touch in combining a wine, beer and mead, even if Jiahu precedes Midas by some 6000 years. One topic ripe for discussion is how did it happen that China now has the earliest chemically attested instance of grape being used in a fermented beverage? Of course, the use of grape this early–likely a wild Chinese species such as Vitis amurensis with up to 20% simple sugar by weight–came as a great surprise. As far as we know–but continued exploration may change the picture–none of some 40 grape species found in China, the highest concentration in the world, were ever domesticated. Yet, this is the earliest evidence of the use of grape in any fermented beverage. And high-sugar fruit, with yeast on its skins, is crucial in making the argument that the liquid in the vessels wasn’t just some kind of weird concoction but actually was fermented to alcohol by the yeast. We don’t know at this point whether hawthorn fruit or grape alone or in combination were used. After we announced that these were the most likely fruits based on our chemical results, a study of the botanical materials at the site–a discipline that has recently begun to be practiced in China–seeds of just those two fruits and no others were found. Although not helping us to decide whether either or both were used for the beverage, this provided excellent corroboration for our findings. Jiahu isn’t just your run-of the-mill early Neolithic site. 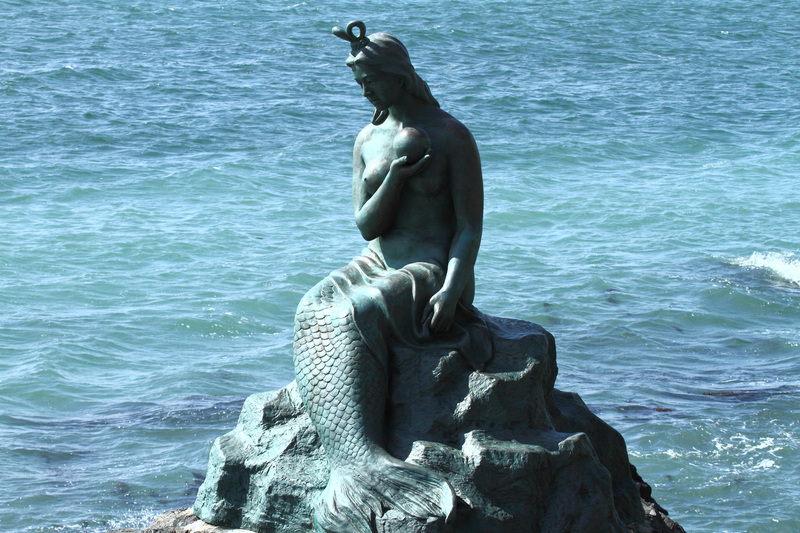 For example, it has yielded the earliest playable musical instruments in the world. Three dozen flutes were made exclusively from one wing bone of the red-crowned crane. Traditional Chinese music, using the pentatonic scale, can be played on the flutes, as demonstrated by the flautist for Beijing’s Central Orchestra of Chinese Music has produced. The flutes might well have played a role, along with the fermented beverage, in ceremonies to the ancestors, just like music and rice and millet wines Egypt (see “Research on Egyptian Medicinal Wines”) were closely associated with ancestor worship at the fabulous Shang Dynasty capital cities, such as Anyang, from about 1600 to 1050 BC, and up to present. Jiahu has also produced what are arguably the earliest Chinese written characters ever found, incised on tortoise shells like those that occur at the fabulous Shang Dynasty capital cities, such as Anyang, thousands of years later. Such inscribed shells are believed to have been used by shaman-like priests to predict and assure a good future. We don’t know if the Jiahu shells, assuming they bear some kind of early Chinese writing, have the same significance as later, but the hypothesis gains credibility from their association with the musical instruments and especially the mixed fermented beverage, all-important parts of later Chinese religious and funerary ceremonies. We could debate whether the rice in the Jiahu beverage was wild or domesticated, and whether its starch was broken down by chewing or malting. Chewing or salivating a grain, stalk or tuber to break down its starches into sugar appears to the be earliest method that humans employed for preparing their beers around the world. An enzyme–ptyalin–in human saliva acts to cleave the larger molecules into simple sugars. In modern Japan and Taiwan, communities of women still gather around a common vessel, and chew and ferment rice wine for marriage celebrations. However the rice was broken down and fermented, it still leaves lots of debris that floats to the surface, and the best way around that is to use a drinking-tube or straw, the time honored method to drink beer in ancient Mesopotamia and rice wine in a traditional village of south China.–what you might call extreme beverage-drinking. The same extreme fermented beverage attested at Jiahu was still being made some 5000 years later, ca. 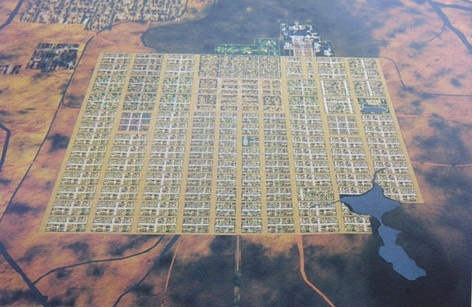 2400-2200 B.C., at the site of Liangchengzhen in Shandong province. Anne Underhill, now of Yale University, excavates this site with her Chinese colleagues. She first invited me to the site in 1999, and I took the opportunity to travel the country in search of ancient fermented beverages. More recently, my laboratory’s analyses of ancient Chinese beverages been expanded to include samples from Erlitou and Huizi, in collaboration with and with funding from La Trobe University (Li Liu) and the Institute of Archaeology, Chinese Academy of Social Sciences (Xingcan Chen). Since Erlitou is believed to be the capital of the first Chinese dynasty (Xia), once thought to be purely legendary, it holds out the promise of filling in the beverage gap between the Longshan period of Liangchengzhen and the Shang Dynasty. Related to this research, additional liquid samples of western Han date (ca. 260 B.C.-8 A.D.) from Xi`an, provided through contacts at the Freer Museum, were analyzed at Firmenich Inc., Princeton, NJ (flavors and fragrances). They turned up negative. 2005 Chemical Identification and Cultural Implications of a Mixed Fermented Beverage from Late Prehistoric China. Asian Perspectives 44: 249-75. 2004 Fermented Beverages of Pre- and Proto-Historic China. Proceedings of the National Academy of Sciences USA 101.51: 17593-9 . Actualy the oldest pottery comes from Dwarka and China now dated 20,000 years old.